Whether warm ears while skiing, sun protection when on a road bike or a casual look for everyday life. Beanies, caps and hats for everyday life, sports needs and outdoor use are available in numerous colours, shapes, materials and designs. Our brief overview of the hats, beanies and caps shows the most important recommended uses for the cool and sporty headwear. Warm beanies made of wool, synthetic fibre, acrylic wool or fleece can be worn for use in winter sports and on cold winter days. Many skiers and snowboarders wear their own ski helmets as head protection when skiing and snowboarding. 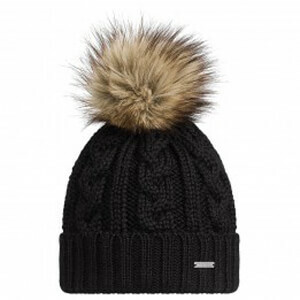 However, a warm beanie, woolly beanie or bobble beanie is indispensable for the time spent at the ski lodge, on the way to the slopes and for après ski. As part of skiwear, ski caps offer pleasant warmth and complement ski clothing and ski gloves. Warm ski masks also provide protection for the face on icy days. Snowboarding beanies and winter sports beanies are often lined with soft fleece or have headbands made of fleece. With cross-country skiing beanies, winter sportsmen and women attach great importance to very good breathability as well as a pleasant warmth. Great protection from the sun and UV radiation is very important in the mountains and during long hikes. Beanies and wool beanies protect the head on cool days. Caps, baseball caps, hiking hats and trekking hats are recommended while hiking on warm and hot days. The light caps are also available as waterproof rain beanies or Gore-Tex beanies. Waterproof beanies in the form of Gore-Tex trekking hats provide protection in all weathers from the sun, rain and wind. They excellently complement waterproof rainwear with waterproof shoes and waterproof gloves. Some of the waterproof and breathable beanies have ear flaps and provide additional warmth to the ears when needed. As part of the running wear for jogging, running or trail running, running beanies, headbands and running caps offer great protection against the sun, wind and weather conditions. Running beanies with a built-in Gore Windstopper membrane and water-repellent surface treatment are suitable for particularly windy or rainy weather conditions. They guarantee pleasant warmth on cool days and are also very breathable and wick away moisture from the body quickly. Elastic fleece beanies are therefore very popular with runners. Runners also like to wear fleece gloves as sporty running gloves. Cycling caps offer cyclists comfortable sun protection and have a short visor. As part of the functional cycling clothing, cycling caps are designed to be aerodynamic and extremely light. They absorb moisture from the forehead and dry very quickly. Cycling caps also ensure great protection from cold winds when riding a racing bike. Whether for outdoor sports or in everyday life - warm knitted beanies, fleece beanies or beanies not only keep ears warm, they also look great. 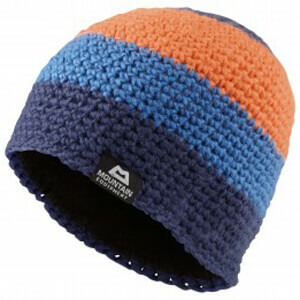 Beanie manufacturers such as Barts, Icebreaker or Buff provide countless combinations of colours, materials and designs. Merino wool beanies are very popular because of their excellent thermal capacity, but synthetic fibre beanies, wool beanies, cotton beanies and knitted beanies are also available. Together with warm fleece clothing, down jackets or PrimaLoft jackets guarantee great wearing comfort during the cold season. Most caps and beanies are "one size", i. e. they are available in one size for every head circumference. However, there are differences in the size of the beanies for women, men and children. Some models are equally suitable for both men and women, while others are specially labelled as women's or men's beanies. As part of the children's clothing, children's beanies not only stand out because of their customised size system, but also because of their child-friendly designs with great colours and patterns. Manufacturers of kid's clothing, e.g. Finkid, provide hard-wearing kids' trousers, fleece jackets and kids' gloves as well as lovingly decorated kids' beanies that give babies, toddlers and nursery-school children an unmistakable look. And, of course, the pretty kids' beanies also keep their heads cosy and warm.